KATHMANDU, July 23: The ongoing hunger strike by Dr Govinda KC is set to break the records of his past 14 fasts-unto-death on Monday as the longest one but government apathy toward his demands continues. Various civil society bodies have intensified protests across the country supporting Dr KC expressing dissatisfaction over the government's failure to take any initiative to hold talks with him even as his health worsens by the day. On the 23rd day of his hunger strike on Sunday, his health condition was already critical, according to the doctors close to him. 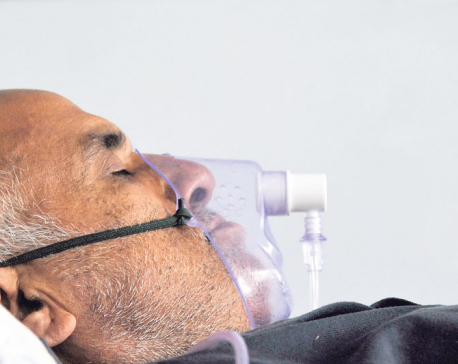 Dr KC has rejected any health check-up, tests and treatment since he was airlifted to Kathmandu by force on July 19. Among his last 14 hunger strikes, Dr KC staged the longest strike of 23 days during the tenure of the then Prime Minister Sher Bahadur Deuba that had begun on August 3, 2017. Dr KC, a senior orthopedic surgeon and professor at the Tribhuvan University, Institute of Medicine (IOM) has staged fasts-unto-death for 189 days till Sunday, demanding reforms in the medical sector against different governments since 2012. He staged hunger strikes — seven times during Nepali Congress-led governments, six times during communist-led governments and twice during the Khil Raj Regmi led government since 2012. Dr Jivan Kshetry, a member of the talks team formed on behalf of Dr KC, said that they already refused to hold talks with the government team led by Secretary Khaga Raj Baral as the team is not mandated to decide the serious issues. "However, the government has done nothing to form a new committee nor has it taken any step to hold talks or address Dr KC's demands," he added. 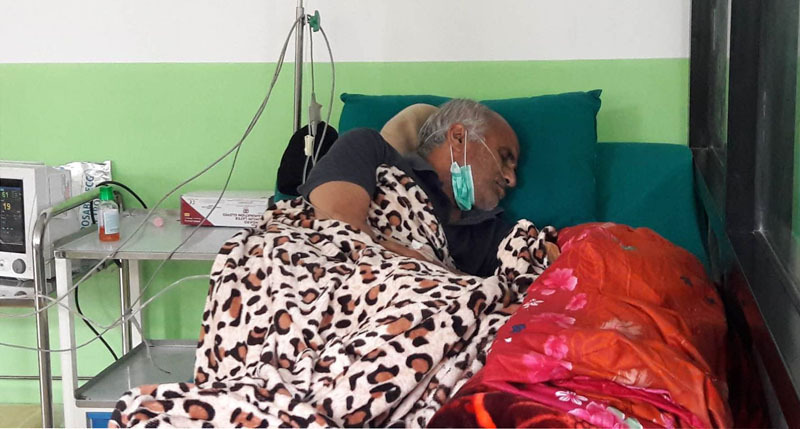 Dr KC, who started staging hunger strikes in July 2012 demanding reforms in the health sector, started his 15th hunger strike from June 30 in Jumla. Dr KC's major demand with the government includes the withdrawal of the Medical Education Bill registered in parliament by changing the major provisions of Medical Education Ordinance issued twice earlier. Dr KC has insisted on bringing the Medical Education Act without making any change to the Medical Education Ordinance, which has provisioned 75 percent scholarships in government medical colleges and restriction to open new private medical colleges in Kathmandu for 10 years. These demands are expected to ultimately enhance the access of ordinary public to health facilities. The ordinance has provisioned not allowing a university to grant affiliation to more than five private medical colleges as per the report prepared by a probe panel headed by Prof Kedar Bhakta Mathema, former vice chancellor of Tribhuvan University. Minister for Education, Science and Technology Giriraj Mani Pokharel was unavailable for comments. "The minister is busy in a ministry-level meeting. So he is not ready to talk to the media," said one of his personal assistants on the cell phone owned by Minister Pokhrel.